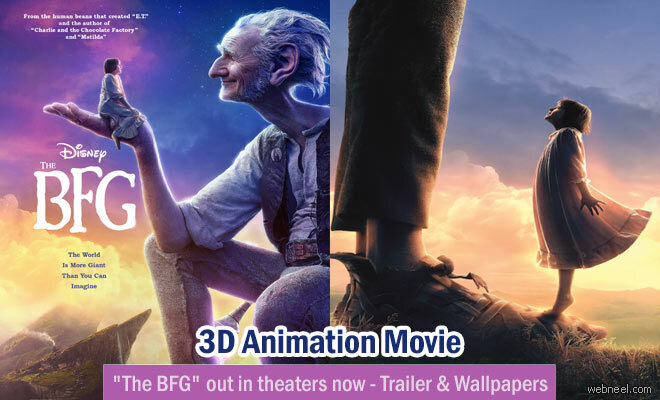 "The BFG" - Walt Disney Pictures is a 1982 book adaptation by Roald Dahl, which goes by the same name. It was released on July 1st 2016 in America. Catch the amazing friendship between a giant and a little girl in your nearest IMax theatre. It's has taken quite a while for the much awaited book adaptation movie 'The Big Friendly Giant' to hit the silver screen. Producers Frank Marshall and Kathleen Kennedy began development for a big budget adaptation way back 1991, and Robin Williams was talked about for the lead role in 1998. But it's director Steven Spielberg who's finally got the oversized one into cinemas for 2016. With some CG magic courtesy of Weta Digital, this looks likely to enrapture a new generation of kids the world over. Spielberg stated, "The BFG has enchanted families and their children for more than three decades. We are honoured that the Roald Dahl estate has entrusted us with this classic story. Story snippet: "Ten-year-old Sophie is in for the adventure of a lifetime when she meets the Big Friendly Giant (Mark Rylance). Naturally scared at first, the young girl soon realizes that the 24-foot behemoth is actually quite gentle and charming. As their friendship grows, Sophie's presence attracts the unwanted attention of Bloodbottler, Fleshlumpeater and other giants. After traveling to London, Sophie and the BFG must convince Queen Victoria to help them get rid of all the bad giants once and for all", according to Imdb.